1. 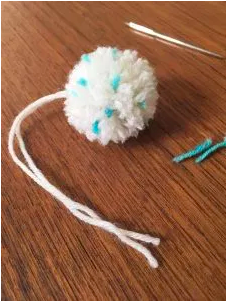 To start, make a pom-pom with your pom-pom maker and yarn as per the manufacturers instructions (here’s a quick link to the Loveknitting blog that has great photos on how to use a pom-pom maker.) Tie it off tightly leaving two long tails (for attaching to a hat or other accessory), and trim. 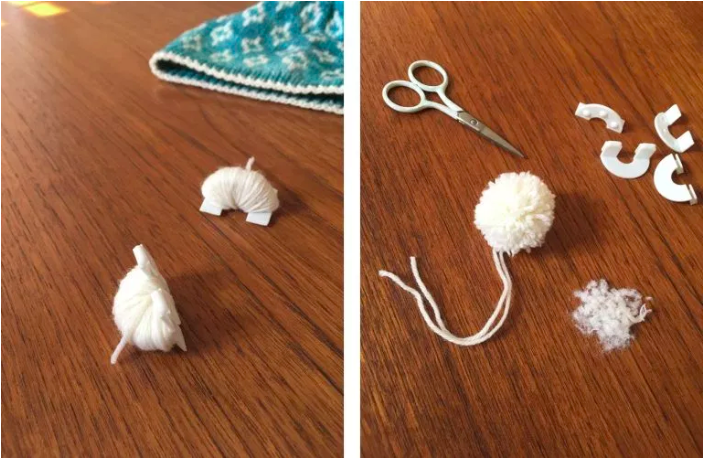 If your pom-pom is not perfectly trimmed at this stage, don’t worry, you can do more trimming at the end. 2. With your scrap yarn, cut 18-20 pieces that are slightly longer then the finished diameter of your pom-pom. My pom-pom measures 1 1/4″ in diameter, so I cut my pieces to about 2″ long. Thread one of the strand on to your yarn needle, leaving one end pulled through longer than the other. 3. Grasp the longer end of the strand firmly, and insert the yarn needle through the centre of the pom-pom. When the needle has passed completely through the pom-pom, and without letting go of the long end of the yarn strand so that it doesn’t get pulled through, let the other end of the scrap yarn slip out from the needle and trapped within the pom-pom. If desired, cut more scrap yarn and continue to repeat step 3. 5. 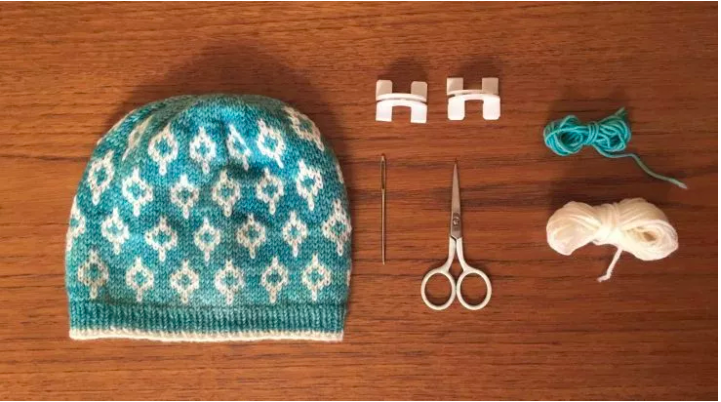 When you have added enough strands of scrap yarn to suit your taste, you can manually adjust the strands to spread them out evenly over your pom-pom. Next, trim all the strands that are sticking out so that they are flush with the surface of the pom-pom. 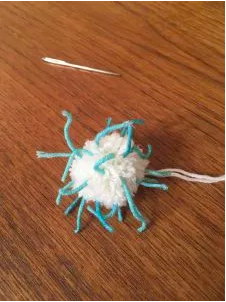 Take the time now to also trim your pom-pom some more if it needs to be cleaned up a bit. And voila! 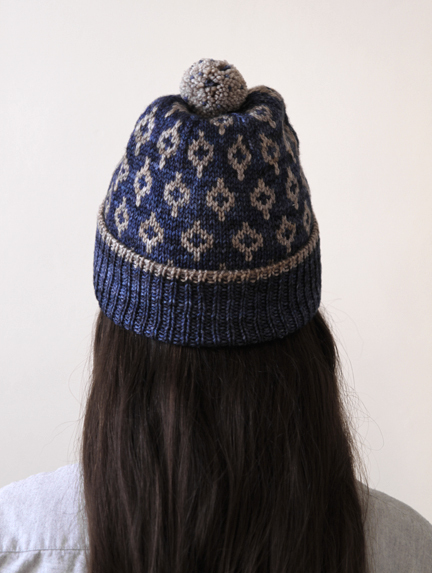 Your speckled pom-pom is complete. Now it can be attached to the top of a hat, or you can do whatever else you want with it!